I've been following her since her big mid 90's hit Show Me Love (Track 5). Robyn Carlsson is God! The latest in my series of DJ tributes to my fave artists, DJ's, and producers. Make sure to get the recent tributes to Madonna, Hardwell, and Eric Prydz. Get into Robyn on iTunes, YouTube, or Beatport. 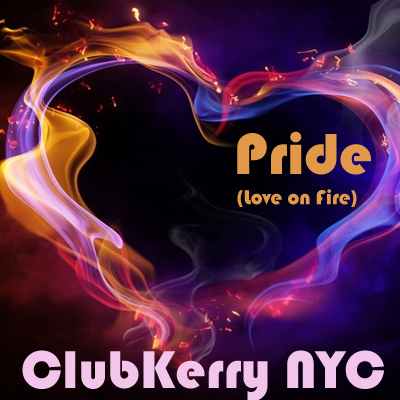 Hardwell is God 2. http://clubkerrynyc.libsyn.com The latest in my series of tribute DJ sets of my fave DJ's/producers in EDM. 5. The Only Way Is Up (Boehm Remix) - Martin Garrix & Tiesto. Wow! 6. Luna (Dezza Bootleg Remix) - Bombay Bicycle Club. Where was this incredible bootleg a year ago when this wonderful original was released? Thank you.